NEW DELHI: The Congress on Tuesday again demanded that the Winter Session of Parliament be convened immediately and said not summoning the session reflects Modi government's fear and discomfort. "Parliament is the mirror of accountability. Parliament is the only platform to discuss several policies of the government. 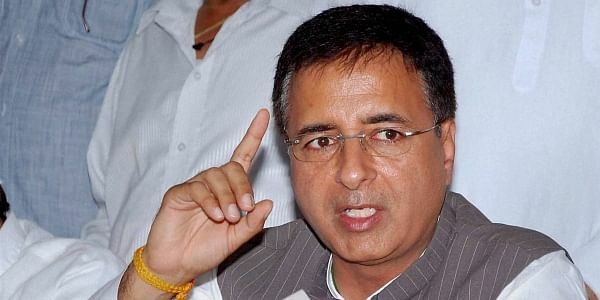 It is most important Constitutional base to expose the discrepancies of the government," said party spokesperson Randeep Singh Surjewala. "Not convening the Winter Session reflects discomfort and fear of the government. We again demand that government should immediately convene the Parliament session and they should understand their accountability towards the nation and discharge it." Informed sources said dates for the session were likely to be decided at a meeting of the Cabinet Committee on Parliamentary Affairs, which will be chaired by Home Minister Rajnath Singh, on December 17.